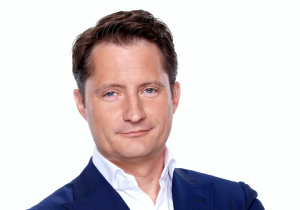 RTL CEO Bert Habets rejected collaboration with rival ProSiebenSat.1 to create a common streaming platform at the company’s full year results presentation at the end of last week, according to local reports. Habets said he was “very confident” that RTL can develop its own streaming offering in a way that delivers growth and economies of scale, and added that the group had an ambition to have among the top three streaming platforms in each of the markets in which it operates. Habets indicated that a joint offering involving ProSiebenSat.1 and possibly public broadcaster ZDF and other partners would take too much time to set up become negotiations between the various parties involved would likely be complex. ProSiebenSat.1 has teamed up with Discovery to create a platform that will incorporate ProSiebenSat.1’s 7TV and Maxdome services, Eurosport Player and a range of other content. CEO Max Conze last year issued an open invitation to RTL and the country’s commercial broadcasters to “join us so we can have one German champion” SVOD platform. RTL is involved in an initiative in France to create a joint streaming platform involving public and commercial players, where its M6 subsidiary is part of the Salto initiative championed by France Télévisions director-general Delphine Ernotte and supported by TF1.